To suggest a feature, please email Jamie Matczak at jmatczak@wvls.org. 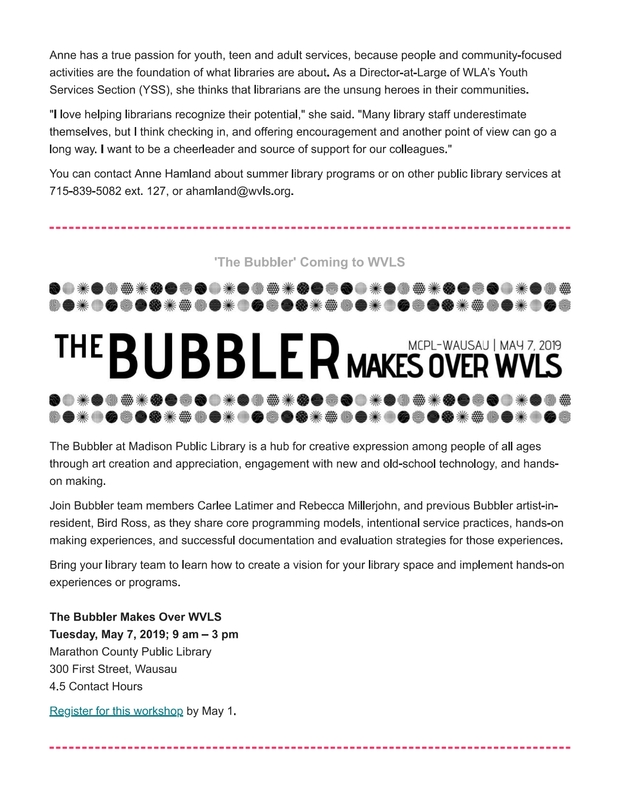 Subscribe to the WVLS Monthly Newsletter! 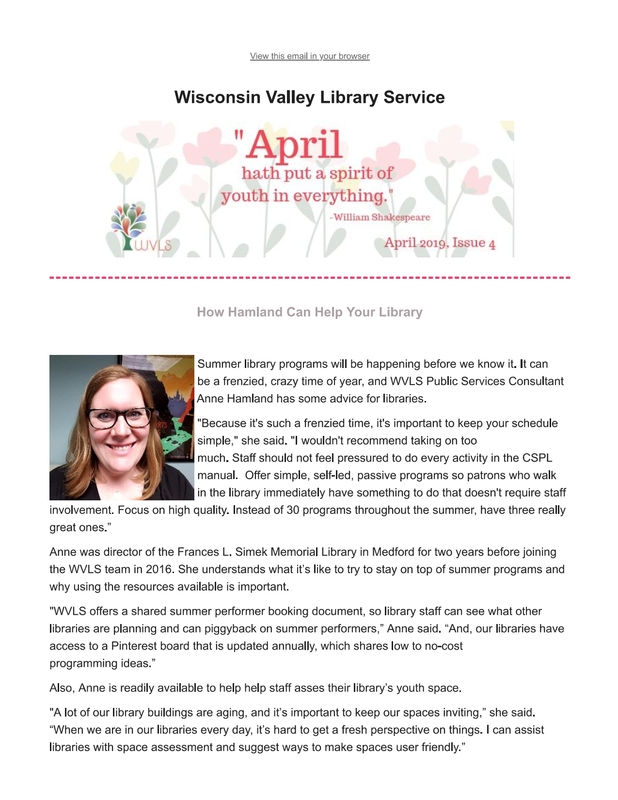 You have successfully signed up to receive the WVLS newsletter! 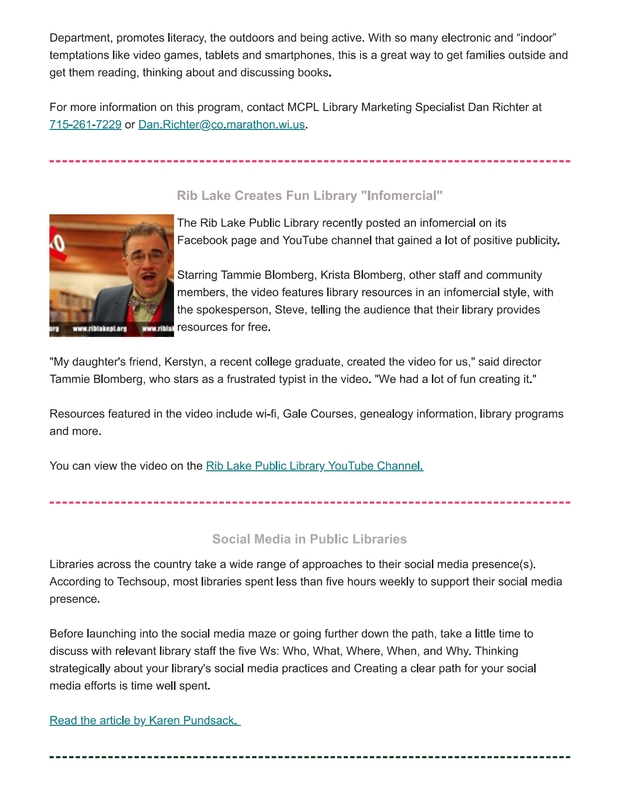 Newsletter 7 April 13, 2017: WPLC: Wisconsin’s Digital Library, Programs at Medford and Colby, All-American Total Eclipse, Dia! El dia de los ninos! 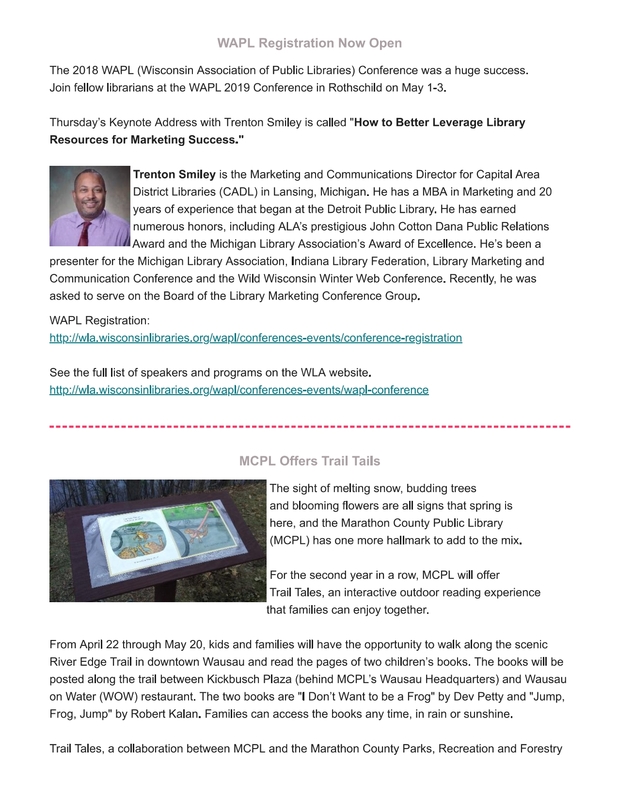 Newsletter 1 July 13, 2016: Social Media & Summer Reading, NTC in Best Colleges in 2016, Pokemon Go!